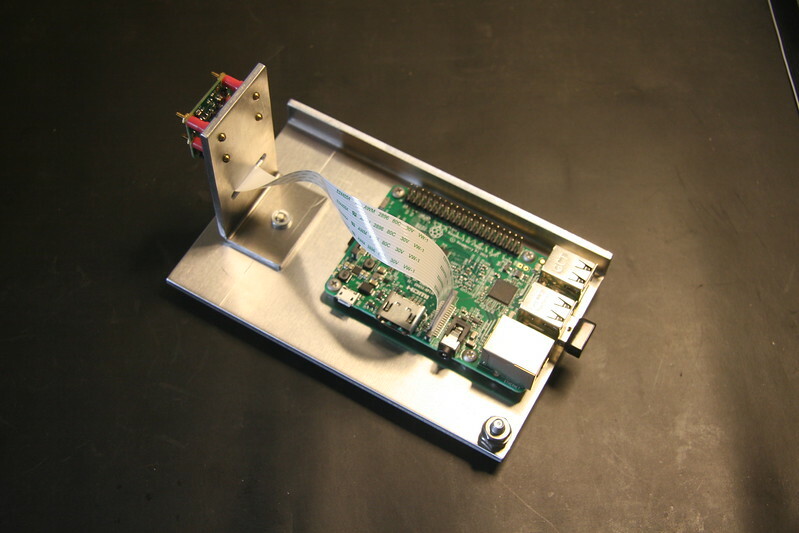 An 1/8" aluminum chassis to hold the Raspberry pi 3 model B board with camera module V2. It's a nominal 3" x 5" footprint. Screw in lower right is for a frame ground.